Using Teleopti WFM, Rentalcars.com effortlessly produces effective, flexible work schedules for over 800 people and manages seasonal peaks and troughs from one single integrated system running on Mitel. The introduction of the web-based Teleopti's MyTime agent tool at the end of 2015 has increased employee empowerment and enabled faster response to advisors’ absence requests. 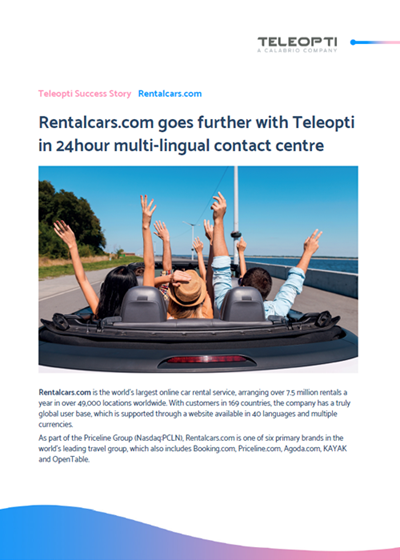 Read the whole story of Rentalcars.com going further with Teleopti WFM in its 24-hour multi-lingual contact center.